Your Doteasy account control panel is called the Doteasy Member Zone. There, you will find your account’s administrative functions, including hosting and domain management as well as your account contact and billing profile, and account setup instructions. You will need your account admin ID (or Member ID) and password to login to Member Zone. Your username can be found in the Welcome email that was sent to you when you account was initially setup. If you have lost your account password, you can use the Forgotten Password tool to have your account password reset instructions sent to you at the account’s administrative contact email address. Go to the Doteasy website and click on the Member Zone link on the top of the page. Enter your account Member ID and password and click Sign In. 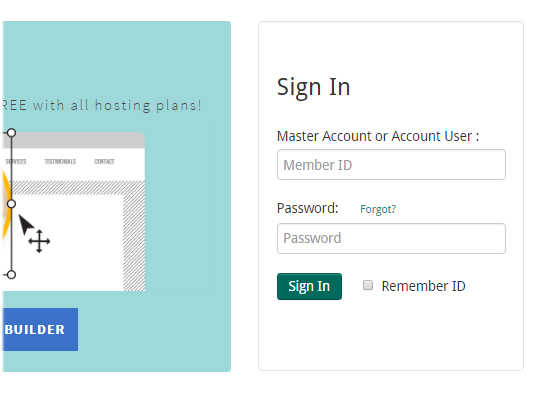 While Member Zone is the control panel used to manage your overall Doteasy account and service plan, cPanel is the control panel that is used to control the specific aspects of your web hosting services, including file management, add-on domains, script installer, MySQL database administration, email accounts and more. We recommended logging into your account cPanel from your Member Zone. Go to the Doteasy website and click on the Member Zone. Enter your account Member ID and password on the Member Zone login panel. 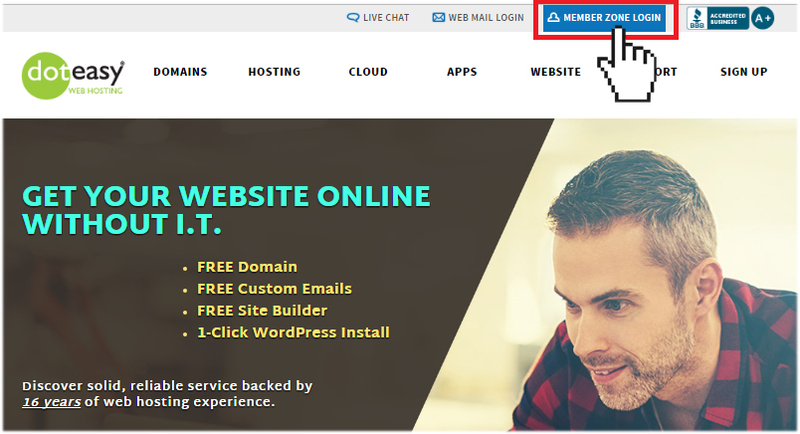 Once you’re logged into your Member Zone, click Access Site Admin Panel (cPanel).